If you have any questions about the Hull 14627 information page below please contact us. 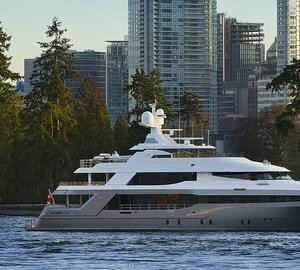 With launch in 2013, luxury motor yacht Hull 146-27 is an all-composite 44,5m long-range tri-deck vessel, built by the Canadian shipyard, Crescent Custom Yachts. 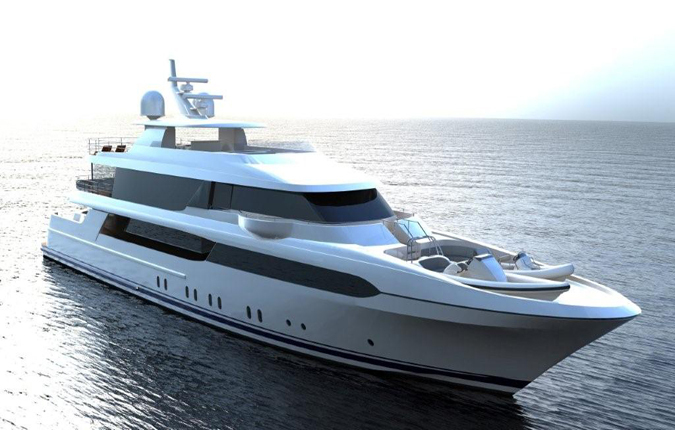 Built on an original hull design by Jack Sarin, the Crescent 146' superyacht Hull 146-27 features both exterior design as well as interior styling by world-renowned Ron Holland. Crescent 146' luxury yacht Hull 146-27 boasts a large lazarette area, capable of accommodating up to a 22' tender, providing comfortable shore service or for local excursions, fishing or diving. Additional tenders or watercraft may be stored on the foredeck. Additionally, the transom garage door opens to create a platform that serves as a base for water sports or simply enjoying the sun at water level. 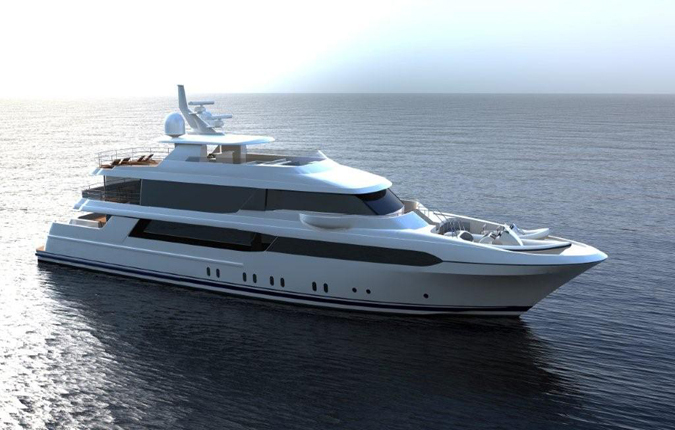 Built in composite, the 44,5m luxury yacht Hull 146-27 by Crescent Custom Yachts can achieve a comfortable top speed of 20 knots. 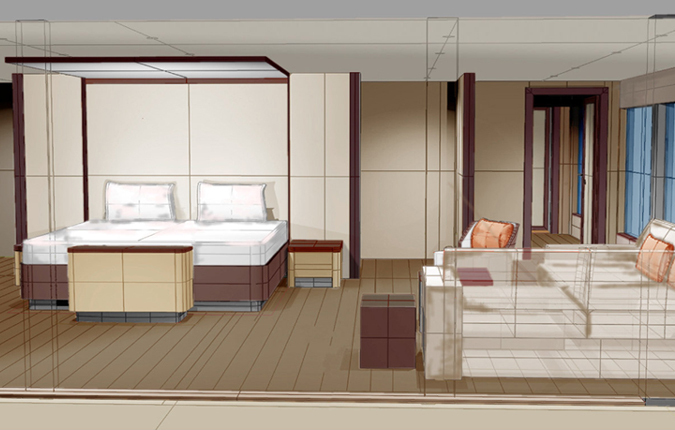 We do have available further accommodation information for yacht Hull 14627, so please enquire for more information. 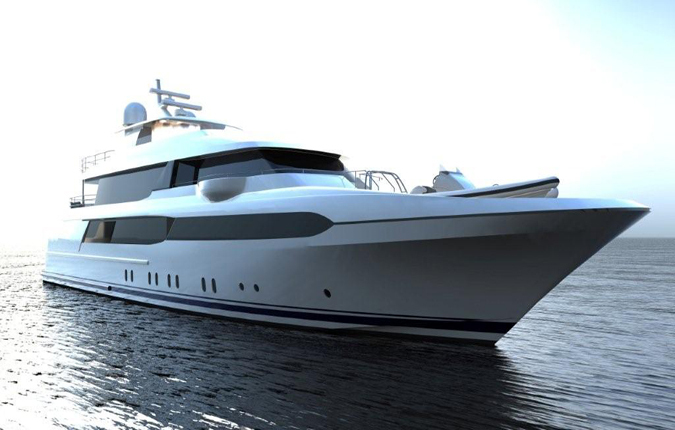 Crescent 146' superyacht Hull 146-27 features a huge lazarette area, capable of accommodating up to a 22' tender. 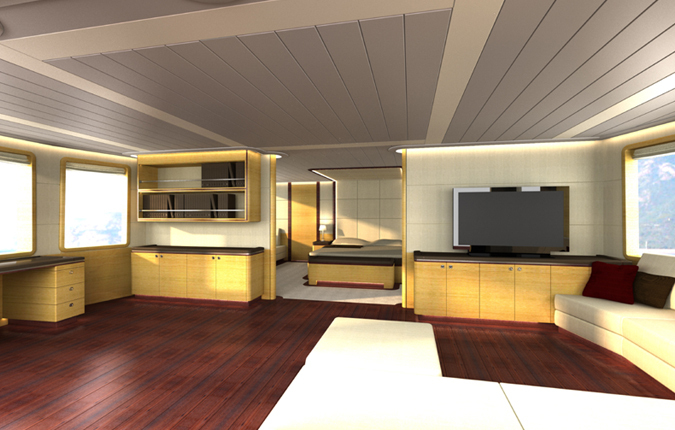 The foredeck can also store additional tenders or watercraft. 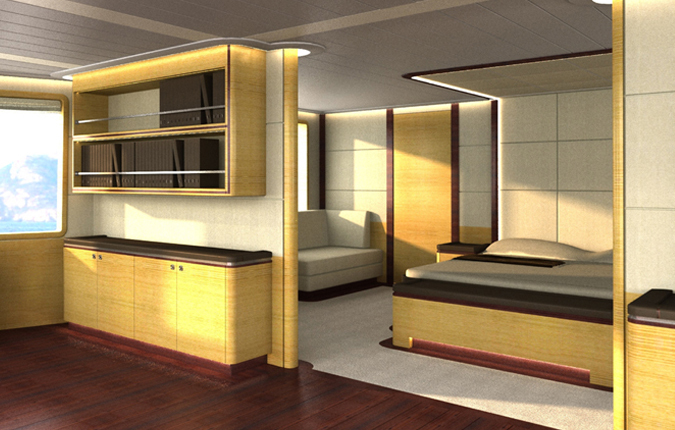 The luxury yacht Hull 14627 displayed on this page is merely informational and she is not necessarily available for yacht charter or for sale, nor is she represented or marketed in anyway by CharterWorld. This web page and the superyacht information contained herein is not contractual. All yacht specifications and informations are displayed in good faith but CharterWorld does not warrant or assume any legal liability or responsibility for the current accuracy, completeness, validity, or usefulness of any superyacht information and/or images displayed. All boat information is subject to change without prior notice and may not be current.